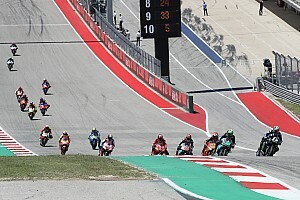 Jorge Lorenzo's start to life as a Honda MotoGP rider has been harder than the Japanese manufacturer expected, believes his teammate Marc Marquez. 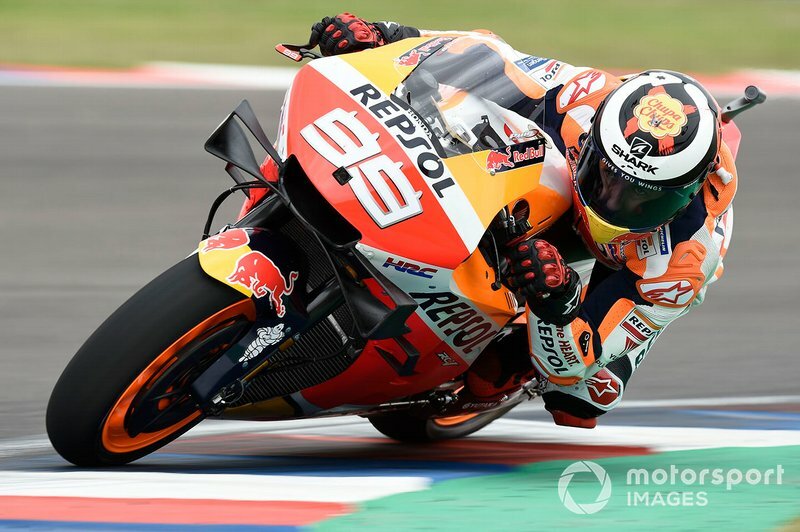 Lorenzo finished down in 13th on his first outing as a Repsol Honda in Qatar last month, and followed that up with 12th place in last weekend's Termas de Rio Hondo race. 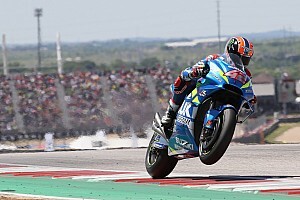 The Spaniard is still suffering from the after-effects of injuries sustained in Qatar and admitted that he wouldn't be risking a crash in Argentina in order to stay healthy for upcoming races. Lorenzo's slow start to the year mirrors his two campaigns with Ducati, although his current tally of seven points is more than he scored at the same stage in the season in both 2017 and '18. Speaking in a press conference organised by sponsor Estrella Galicia in Sao Paulo, Argentina GP winner Marquez said Honda had not anticipated such a tough start for its new start signing. 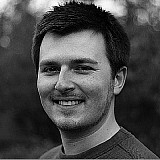 Asked how long it will be before Lorenzo joins the lead fight, Marquez replied: "I don’t know. "The truth is that Jorge is a very peculiar rider. He is a very meticulous, always going deep in the details. He likes to have all the things in the right place, and when this happens he is very fast. "He already proved that he is fast. If he can be fast in every circuit to fight for the championship, it will be more difficult. But I’m sure that he will be fast. "When will this happen? I don’t know. I think physically he is very strong now. You don’t need to be at 100 percent [fitness] to go with a bike to 100 percent. "But at this moment his learning process has been harder than what Honda expected." 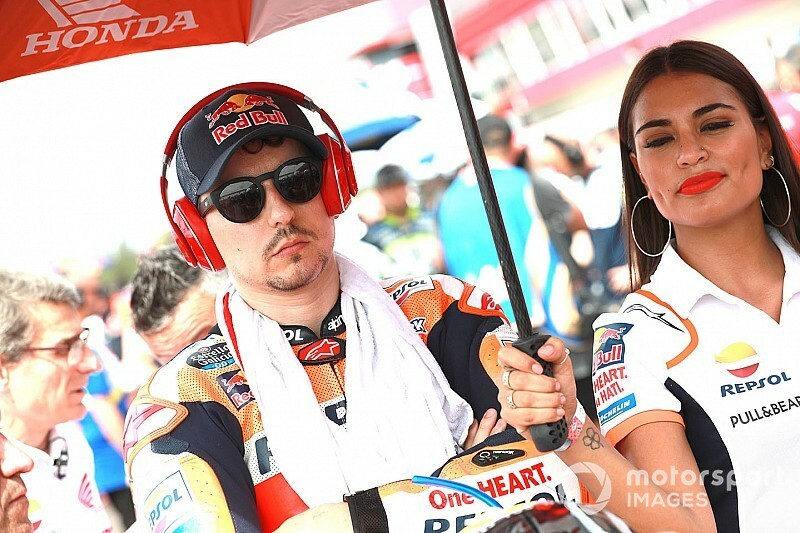 Lorenzo revealed he had accidentally engaged the pit limiter at the start of the Argentina race, and his subsequent progress was hampered by a disintegrating handlebar grip. Team boss Alberto Puig says Honda is now resigned to the first half of the season being needed for Lorenzo to fully get to grips with the RC213V bike. "With Jorge, the plan [in Argentina] was to start well at the beginning and then use his strong points the first laps and try to settle into his pace, but he had a problem and this ruined his race," said Puig. "In Jorge’s case we understand the first part of the season won’t be easy but we hope and expect once he gets used to this bike he will fight again for the top position."